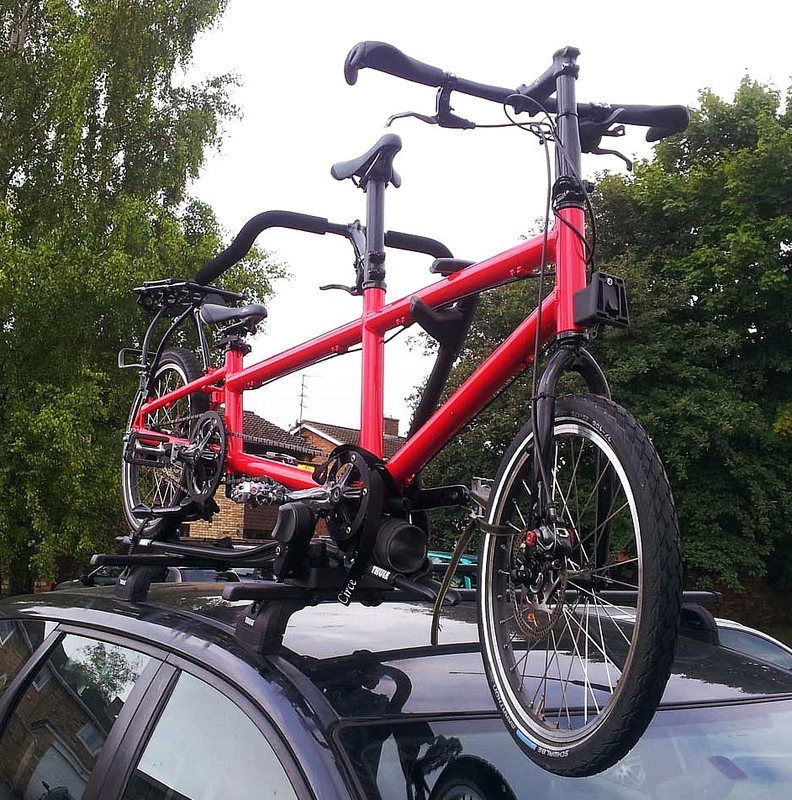 Transporting a tandem bicycle by car is always difficult and, even though the compact size and light weight of the Helios make it very easy to fit inside most cars, some families need the inside of the car for passengers and other luggage, making roof carriage the only option. The Thule Pro ride 591 and 598 roof rack is a popular option with Helios users. Using the Thule stand off the Helios can be easily fitted to the rack. 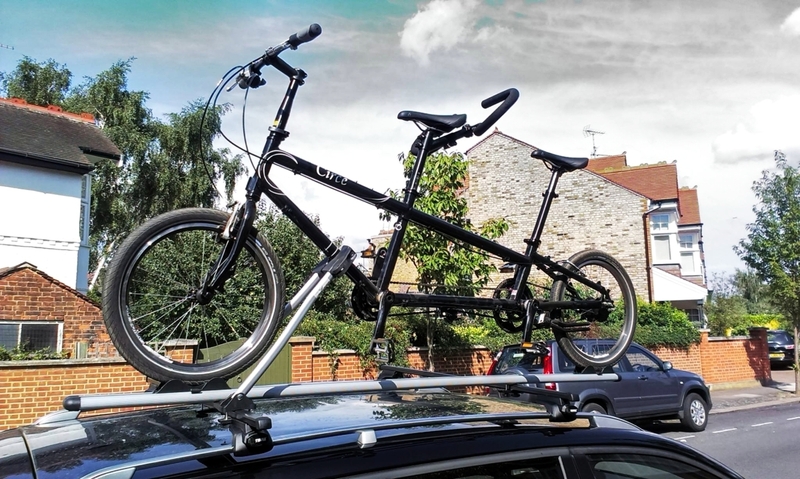 Another option is to use a tandem bike rack. Helios owner Dirk Sinjan comments :- ‘We put it on the roof today and it seems to fit well. Did put it on with the front of the bike facing backward to avoid the rack interfering with the boot lid. Think it works best for MPVs or estate cars as you need a minimum of 1m between the roof bars, but may work on other cars as well.